Luis Fonsi & Daddy Yankee spend their 15th week at the #1 spot of the Global Track Chart with the remix of Despacito, featuring Justin Bieber! I'm exhausted of this song! The top 3 remains the same: at #2 we have DJ Khaled's Wild Thoughts, featuring Rihanna and Bryson Tiller, and at #3 we have Calvin Harris' Feels featuring Katy Perry, Pharrell and Big Sean. 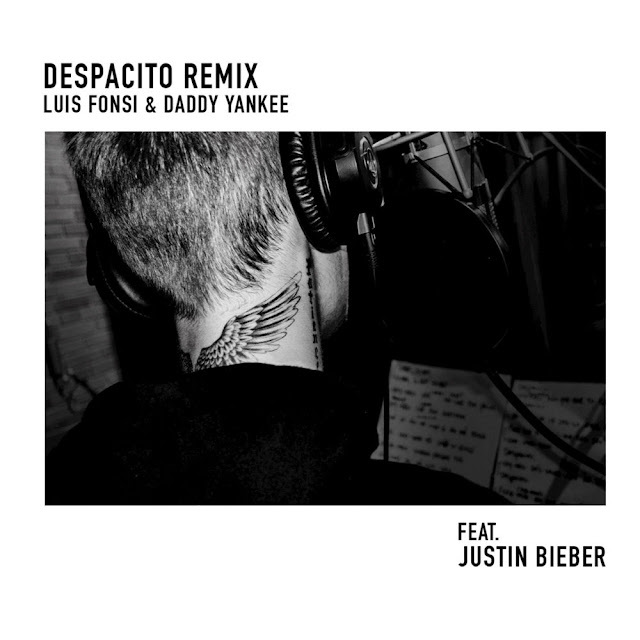 Luis Fonsi e Daddy Yankee passam a sua décima quinta semana no #1 da tabela Global de Singles com o remix de Despacito com Justin Bieber! O top 3 encontra-se inalterado: no #2 temos Wild Thoughts de DJ Khaled com Rihanna e Bryson Tiller, e no #3 temos Feels de Calvin Harris com Katy Perry, Pharrell e Big Sean!